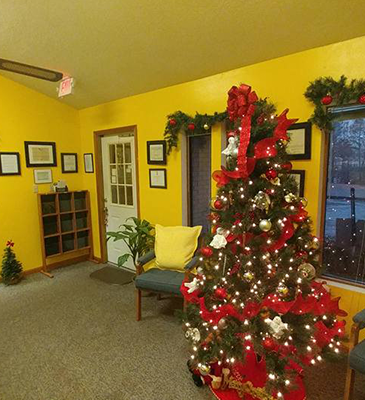 "The sun is "always" shining inside of Angelic Adult Day Care"
Your loved one deserves to spend their golden years happy and healthy. 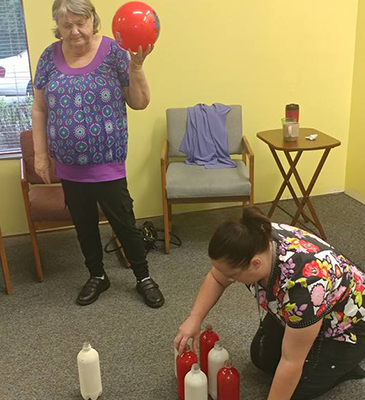 With our adult day care program, we make that possible. 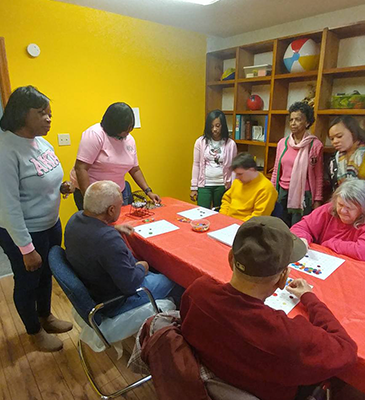 From daily fun activities to regular socialization with others, Angelic Services ensures your loved one's overall physical, emotional, and spiritual wellness with our adult day care. 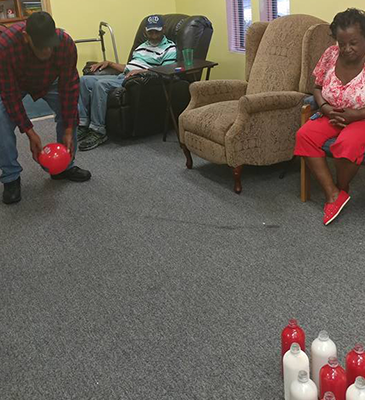 We offer a variety of fun activities to keep seniors active and engaged. 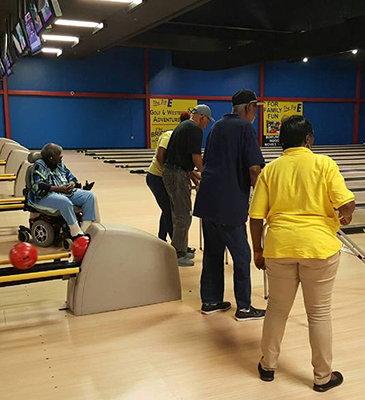 Typical activities include bingo, exercise, live entertainment, and regular outings. 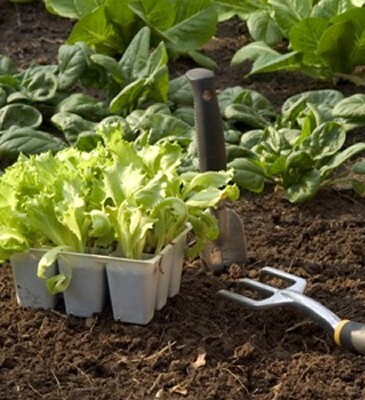 We even have a small courtyard where they can tend to a garden. 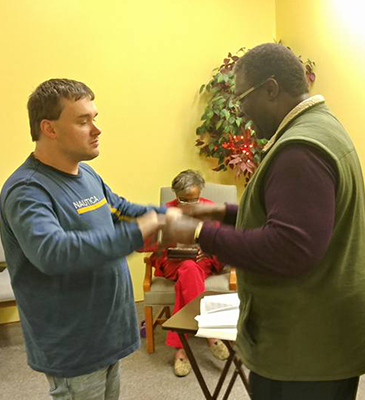 Faith is an important aspect of our program as well, so we invite local pastors to lead a Bible study and do daily devotions with our seniors. It's important we create an adult day care program that meets the needs and wants of our seniors. 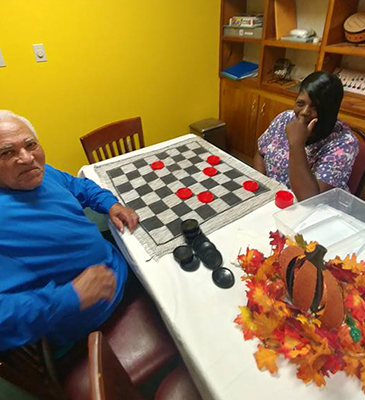 That's why we encourage them to let us know about their favorite hobbies or pastimes so we can incorporate them into our program. Along with daily activities, we provide regular meals and snacks that are healthy and nutritious. Meals are served family style where everyone eats together and socializes with one another. 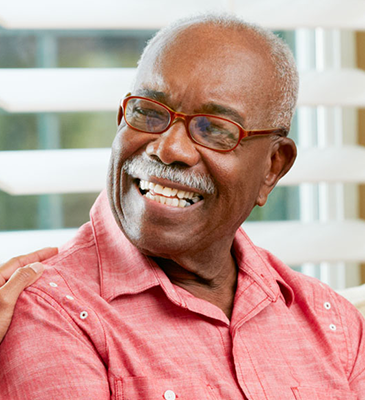 We have a registered nurse who is always on site to tend to our seniors' medical needs. We also have a wellness room where seniors can rest, as well as a sitting area with comfortable recliners.